New market reports Second Quarter 2017 posted for Colorado Springs Commercial Real Estate: Industrial, Office and Retail properties. Rent, Vacancy, Absorption and Major Transactions. See the Market Reports Page for a complete list and downloadable PDF copies. Greg Baker, MAI is a member of the Xceligent Advisory Board, which produces the quarterly market reports. He is the only commercial appraiser that sits on the board with the top brokers from the Colorado Springs Market. 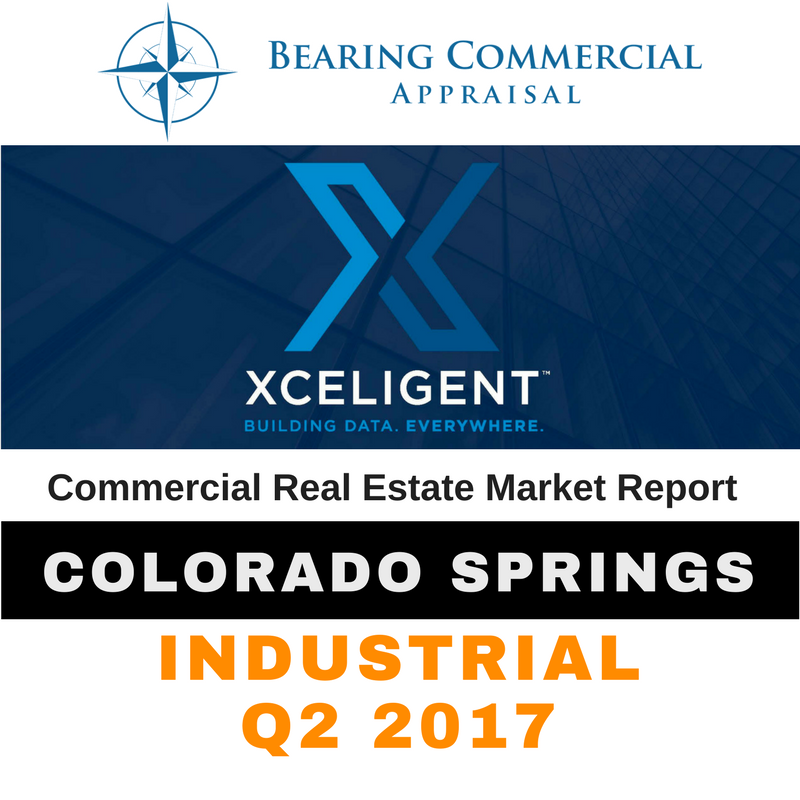 New market reports for First Quarter 2017 posted for Colorado Springs Commercial Real Estate: Industrial, Office and Retail properties. Rent, Vacancy, Absorption and Major Transactions. Activity in the leasing market will come 50/50 from government connected and private users. Most new demand for space will come from within the market and expansions/upgrades are the most likely activities. New construction will continue to be driven by build-to-suit and speculative activity is not likely. There are still larger blocks of available space. New construction is concentrated in smaller speculative projects and build-to-suit spaces in the Far Northeast and East portions of the city. New restaurant concepts (fast casual), convenience stores and auto service are the most active. The new projects will continue to command rents at the top of the market and existing space demand will be stable or stagnate. The market is tight and minimal inventory is available. Rental rates are not high enough to generate new construction. The average size of user space needs are increasing. Market participants are optimistic about the incoming administration to decrease regulations and taxes. New investment and job creation is likely. This trend will be most evident in the second half of the year. Capitalization rates will remain stable, but not increase even with interest rate hikes. 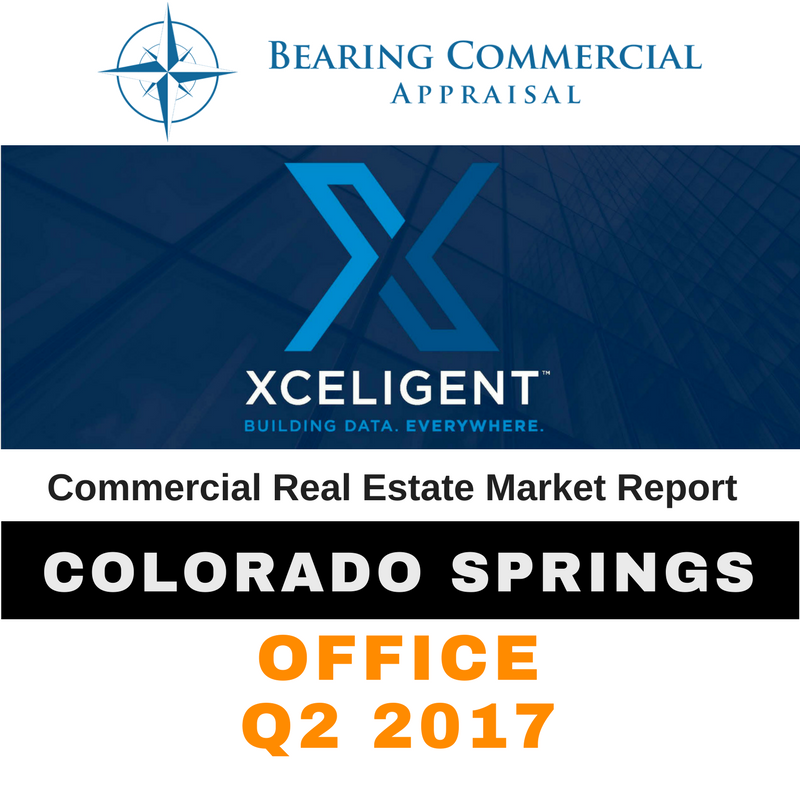 Institutional and regional investment demand will continue to be attracted to Colorado Springs as deals in larger markets are no longer available. Commercial lending standards will tighten, but credit availability won’t significantly change. Call Greg or Jon to discuss Colorado Springs Commercial Real Estate Value trends.